Moving to a new city can cause a lot of overwhelming emotions. Relocating somewhere you’ve never lived before can be exciting, stressful, and a little bit frightening. With all the worries associated with moving such as changing your address, unpacking, and finding local stores to grocery shop at, a new social life is probably the farthest thing from your mind. Moving to a place where you don’t know anyone can make you feel like an outsider because everyone else already knows each other and is a part of something. It’s important not to let this paralyze you from creating a social life for yourself. Not only is a social life fun, but it’s essential for our health to have communication with people face to face. It’s crucial not to get discouraged when you don’t meet friends immediately. New, healthy relationships take time to form, so be patient. Try some of the following tips to jump-start your social life after your big move. In the present day, social networking is often used as a tool to communicate with others. 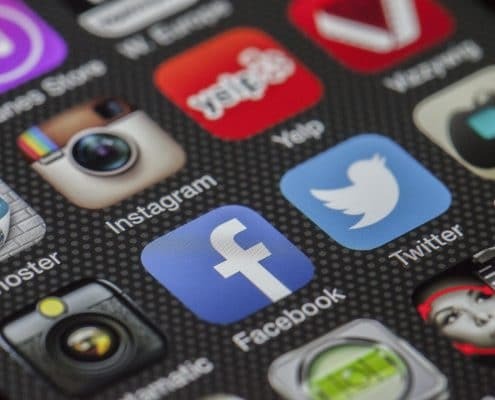 While social media shouldn’t replace face to face communication and socialization, it can be a powerful means of recreating your social life in a new city. Use the Facebook friends you already have to link you to people they know in the same town. For example, make a post about just moving to a new city and wanting to meet new people. Use the friends you already have to meet people they know from the same area. This strategy can create friendships you can trust instead of meeting an unfamiliar random person of whom you know nothing. Remember never to invite someone you don’t know to your home the first time you meet. Rendezvous in a public place like a coffee shop, restaurant, or even a park. People use mobile applications and websites all the time to search for dating partners. You can do the same to find friends. One common site for finding new friends is Meetup. Meetup is a website geared towards helping people establish a social life based on common interest. This website features several different categories. One of the categories is “New in Town.” Putting yourself in this group can help you find others who are new to the same town as you. Use this powerful resource to help you find activities to join such as a sports team or a book club. Some additional websites and mobile apps to help you find friends are Instagram, Twitter, GirlFriendCircles, and Friendsy. Start joining things that spark your interest. Whether it be an exercise class, getting your nails done, book clubs, or a sports team. They are all possibilities to help you connect with others that share similar interest. Before, after, or during the event, strike up a small conversation with someone nearby. It could be a simple “Today’s class was challenging” or “I love that color on your nails.” Anything that gets the conversation going and steered toward future communication. Aside from work, school, shared interests, social media and networking websites and apps, your neighbors are excellent people to work towards making a connection. Say a friendly “hello” while doing laundry, checking the mailbox, or heading to and from your cars. After you’ve spoken a few times, begin with some small talk. Let that break the ice up a bit, then ask them questions about themselves and show an interest in who they are. Living in the same building, or neighborhood is an easy way to make conversation because you’re both experiencing some of the same things in your surroundings. 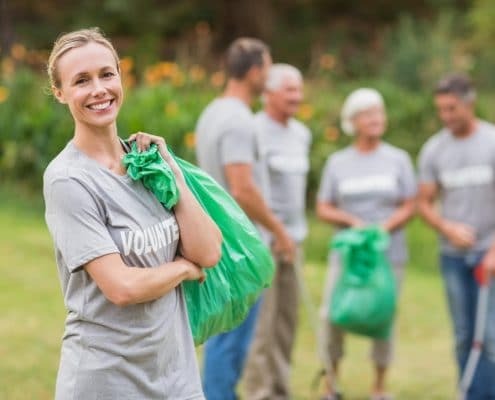 Giving back to the community you just moved to is an excellent way to meet people and get involved in new things around town. Find a cause you’re passionate about, like volunteering at a local animal shelter, food bank, or even a school, especially if you have children. Making yourself available to things your community needs can help you socialize and feel like you’re a part of something, which can boost your overall mood. Volunteering will show people that you’re thinking of others. That is a good friendship quality that everyone looks for. Meeting people this way will also connect you with people who have good hearts, intentions, and willingness to help others. Working together is another thing that you and people from your workplace have in common. Chat while you’re at work and maybe suggest that you make plans after you both get off one day. Grab lunch together or coffee on your way home. Carpooling is also an excellent option for you get to know each other to build your friendship. If you’re a student that attends classes throughout the week, get to know the people in your class. Many instructors in college classes give opportunities to work in groups, so use this time to connect with your classmates. Talk about the course and why you’re taking it. Maybe you share the same major. Discuss what your plans are after graduation. With today’s technology, more people are telecommuting or working from home. That can leave you feeling isolated after moving to a new city. However, there are still options for meeting and connecting with the people working with you. Whatever your company uses for means of communication, such as email or Facebook, put up a post or send a mass email stating where you’ll be working and when to invite others to join you for the workday. That gives you an opportunity to socialize. Finding friends in a new city can be challenging and nerve-racking. On top of unpacking, transferring your mail, and getting to know the area, you have a responsibility to your social life as well. It’s important not to put it on the back burner. Socializing is beneficial for your health especially if you work from home and don’t get out much. Try some of these tips above, step out of your comfort zone, and make some new friends. Homes for Heroes has affiliates all over the country to help you, the hero, save money while buying a home. If you’re a Hero and you’re interested in learning more go here to fill out the form, and an affiliate local to you will give you a call. If you’re an affiliate and would like to sign up to help Heroes save money, you can do so here.